Hatfield, UK – 9 January 2018 - Antenova Ltd, manufacturer of antennas and RF antenna modules, is showing a brand new pair of high performing 4G/LTE antennas which are suitable for PCBs as small as 60mm, at the consumer electronics show CES. 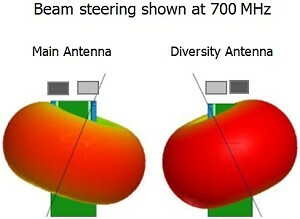 The two antennas can also be used in 3G and MIMO applications. The two antennas are similar - the difference being that Inversa is built for the USA market while Integra is for European and Asian markets. Both antennas are available in left and right versions to provide more options for placement on the PCB, and can be used singly or in pairs for MIMO. Both use beam steering to ensure good isolation and cross correlation, and achieve high performance. 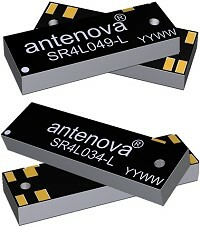 For more details, antenna samples and evaluation boards, please see www.antenova-m2m.com. Antenova is a leading developer and supplier of high performing integrated antennas and RF solutions for wireless communication, consumer electronic and wireless M2M devices. Antenova's broad range of standard antennas and RF modules are ideally suited for GSM, CDMA, 3G, 4G, LTE, GPS, GNSS, WiFi, Bluetooth, ZigBee, and ISM, for M2M and IoT applications. Antenova provides comprehensive design advice and technical support, including custom antenna design, engineering, integration and test services to ensure the best possible performing antenna solutions for customer devices. For more details, please visit www.antenova-m2m.com.